Hybrid apps are either built around a native web view container or they leverage cross-platform tools that create native apps. Since a native WebView is basically an embedded web browser inside of an application, you can just focus on building a web page and the platform will package your web code into a cross-platform mobile app. PhoneGap is one of these platforms/frameworks and it gives you access to native features like the phone camera through powerful APIs and it can build apps for iOS, Android, and other popular platforms. PhoneGap Build will compile the app code in the cloud and also has additional features. jQuery Mobile – HTML5 based framework from jQuery. It has been around for a while and has recently added a neat ThemeRoller editor. I tried it and really did not like it. I thought it was bloated and slow. Ionic – framework that is open sourced and has a library of mobile-optimized HTML, CSS and JS components, gestures, and tools for building highly interactive apps. It is built with Sass and AngularJS. I loved it and I build a nice hybrid app with Ionic really quickly. Lungo – an HTML5 framework for your mobile cross-device applications with nice default styles. Intel XDK – cross-platform HTML5 Development Tool to easily design, debug, build, and deploy HTML5 web and hybrid apps with PhoneGap/Cordova. Framework7 – F7 is a free and open source HTML mobile framework to develop hybrid mobile apps or web apps with iOS native look and feel. Onsen UI – a custom elements based HTML5 UI Framework that calls itseld the answer to PhoneGap development. You get many UI components and responsve layout with super performance. CocoonJS – HTML5 framework that speeds up HTML5 execution to improve performance in mobile games and apps. Junior – A front-end framework for building HTML5 mobile apps with a native look and feel. Jo – open source HTML5 Mobile App Framework that integrates with PhoneGap / Cordova. Sencha Touch is another HTML5 Mobile Framework with many components, themes, and a built-in MVC system to create powerful web apps. Web Starter Kit – Boilerplate & Tooling for Multi-Device Development from Google. You can see an example here. Ratchet – Build mobile apps with simple HTML, CSS, and JS components. AppGyver – calls itself the most advanced platform for building hybrid mobile apps with HTML5 and it looks really good. It’s Supersonic framework is built on Ionic, AngularJS, and suposebly brings native performance to the UI and navigation. It uses crosswalk for Android WebViews and everything is compatible with PhoneGap/Cordova. Kendo UI is another awesome mobile framework that is fast and light with AngularJS integration and support for Bootstrap. PhoneGap is still the most popular platform to build and deploy mobile apps. It supports a ton of mobile frameworks and will build to many devices. Some argue that it is the best. RhoMobile is an open-source mobile app platform by Motorola Solutions for creating cross-device apps. It uses the Ruby-based framework Rhodes and by using the Rhodes API you can build your app for many devices. Here is a good infographic on comparing RhoMobile to other platforms. MoSync is a cross-platform SDK and HTML5 tool to create mobile apps. 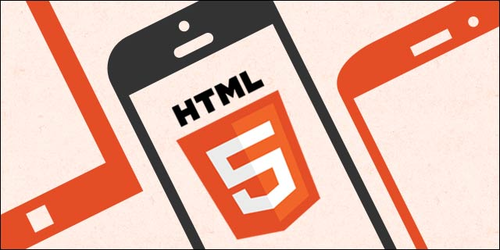 It supports C/C++ or HTML5 and it can build and deploy apps to multiple platforms. Here is how MoSync compares to PhoneGap. I didn’t mention Xamarin PLatform because you need to write in C# instad of HTML5 but it is pretty compelling. Same applies to RubyMotion where you build apps in Ruby and Kivy where you can build and deploy apps with Python. Same applies to FireMonkey. Finally, if you are looking for a good MEAP (Mobile Enterprise Application Platform), take a look at Kony, Verivo, IBMWorkLight, or OutSystems.